Big Data is the trend of today and Hadoop is the most popular application to manage the same. Understand about Big Data, the growing buzz about it and its importance. 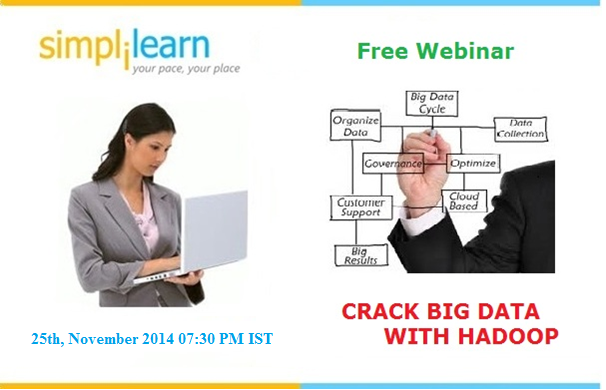 Also, learn about Hadoop components like Map Reduce, Hive and Hadoop system, effective for managing Big Data. Big data is both a technical and a marketing term. It refers to one of the most valuable assets in your business organization, i.e., information. The term also represents a major trend in technology that has been leading to develop a new approach in making business decisions and understanding the competitive, business world.